(Los Angeles, CA)—Today, global superstar Christina Aguilera releases her highly anticipated new song “Fall in Line” feat. Demi Lovato along with the lyric video. It was previously announced that Aguilera and Lovato would be performing together at the “2018 Billboard Music Awards” which will broadcast live from MGM Grand Garden Arena in Las Vegas on Sunday, May 20 at 8 p.m. ET / 5 p.m. PT on NBC. The track follows the release of “Accelerate” feat. Ty Dolla $ign and 2 Chainz and “Twice.” Glamour said about “Accelerate“ feat. Ty Dolla Sign and 2 Chainz,“Aguilera delivers the lines of ‘Accelerate’ like she’s drinking cocktails on a beach. 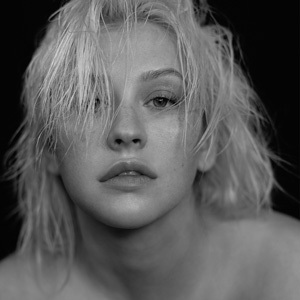 It’s very relaxed, easily danceable,” and W Magazine noted that the song “reaffirms Xtina’s status as the fearless provocateur with powerful pipes that we’ve always known” Christina’s latest release, “Twice” has also received critical acclaim with Entertainment Weekly stating, “the pop diva is teasing the record’s diverse sounds by letting her powerhouse vocals loose once again atop a new, gorgeous ballad.” Noisey also noted about the song, “It’s a ballad where her vocal can really spread itself out, and it works for her as well as it always has.” “Fall in Line” feat. Demi Lovato, along with “Twice” and “Accelerate” feat. Ty Dolla $ign and 2 Chainz will be included on Christina’s upcoming 6th studio album Liberation, which will be released on June 15th via RCA Records and is available for pre-order now. Fans who pre-order the album will also receive all three tracks as instant-grats. See full track listing for Liberation below.